Winter weather can be hard on cars, and without the right winter tires, your safety also is at risk on the road. All it takes is one slick spot to cause you to lose traction and control of your vehicle. Not to worry: If you’re in the market for snow tires, the only name you need to know is Nokian. The industry’s leading choice for cars, trucks, SUVs and even heavy equipment in snow and ice, Nokian studded tires will give you the traction and stability you need for safe winter driving. At Tires By Web, we’ll get them to you with FREE SHIPPING — and at the best tire prices online. 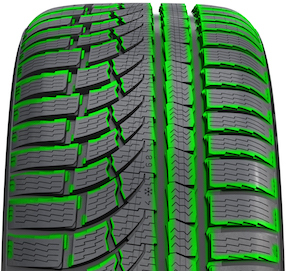 At Tires by Web, we feature a wide selection of Nokian tires for sale, including Hakkapeliitta Winter Tires and Nokian Hakkapeliitta Studded Snow Tires. We even stock the all-weather WR G3 tires that are a great year-round tire option. If you are looking for tires for all seasons, our selection of Nokian products has something to fit your needs. Nokian Tyres is the only tire manufacturer in the world that focuses on products and services that facilitate safe transportation in northern conditions. The company’s innovative passenger car, truck and heavy duty machinery tires are mainly marketed in areas that have snow, forest and changing seasons that make driving conditions demanding. Nokian develops its products aiming at sustainable safety and environmental friendliness throughout the life cycle of the product. Are you ready to put some of the industry's best tires on your car, truck, van or SUV? Not all tire dealers carry Nokian tires, but Tires by Web has the inventory selection you want. Try the new All-Weather Nokian WR G3 Tires for your vehicle today. This recently was rated No. 1 by a leading consumer magazine. 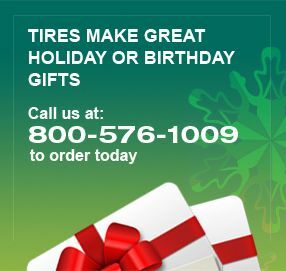 We stock these and other Nokian winter tires, and are ready to help you find the right tire for your specific needs. In addition to our popular Nokian tires, we also carry new American racing wheels, for all of your winter tire and wheel package needs. Are you unsure about which tire would best meet your needs? Feel free to call our Hakkapeliitta experts today at 800-576-1009 for answers to all of your questions.